In an exclusive interview with ABC News, first lady Melania Trump said she supports the women of the #MeToo movement but also expressed concerns about accusers going public with allegations of sexual misconduct. Those making accusations of sexual assault need to provide evidence, she argued. “You cannot just say to somebody … ‘I was sexually assaulted’ or ‘You did that to me.’ Because sometimes the media goes too far and the way they portray some stories, it’s not correct. It’s not right,” she said. First lady Melania Trump gives an interview to ABC News’ Tom Llamas. President Trump himself has been accused of sexual misconduct by a number of women since launching his campaign for president, claims he has denied. Allegations of sexual misconduct by multiple women nearly derailed the Supreme Court confirmation of Brett Kavanaugh, who vehemently denied the allegations. 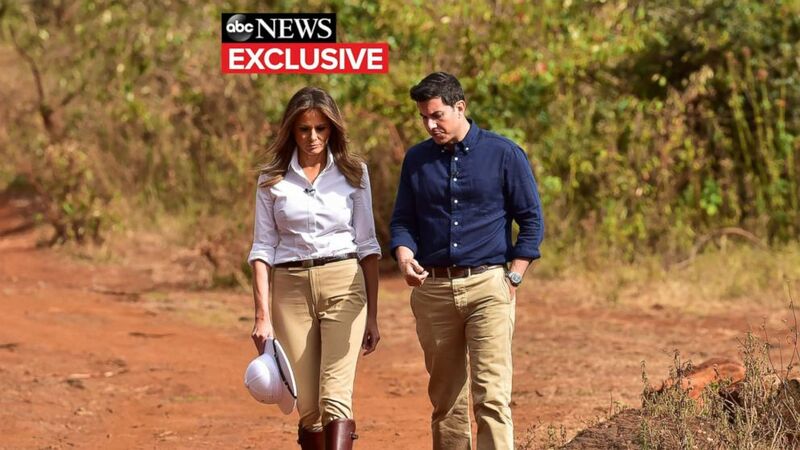 ABC News’ Chief National Affairs Correspondent Tom Llamas sat down with the first lady for a wide-ranging interview during her first solo trip abroad to Africa earlier this month. The famously private first lady sought to highlight her “Be Best” initiative on a tour through Ghana, Malawi, Kenya and Egypt.